Pastrana sets the bar high! 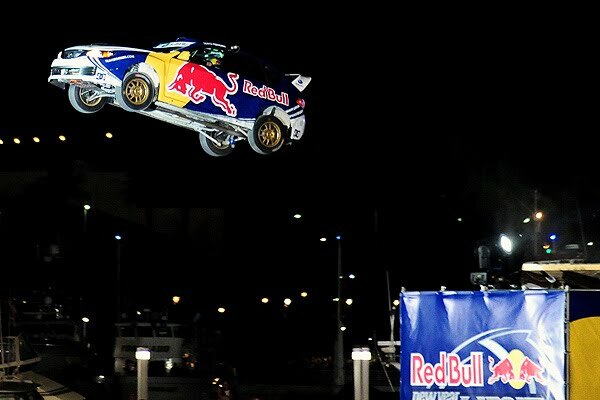 269 feet is the new world record rally car jump! Not only did he beat the old record by nearly 100 feet, he did it by jumping over water onto a floating barge! It truly was amazing watching the car fly through the air knowing that he had to hit such a small target. Any misalignment on takeoff would translate into a much larger distance once he reached the landing ramp. Travis has taken rally cars to a new level with this jump. Although still not as far as a dirt bike has flown, it's impressive nonetheless. Very cool, what passion! I wish I had more guts like that guy! Stop using my name and faking my comments putz! That has to be more of a relief to accomplish than a feeling of achievement. I would feel like I was on death row for a week prior to doing that. Truly Rocking... Hands off to the stunt man. this is the most dangerous job they are doing with great passion with full of joy & interest.